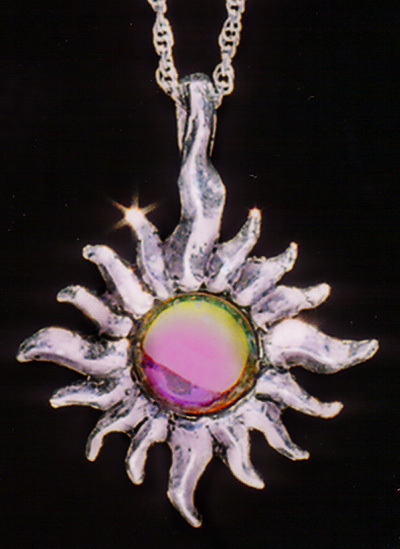 Our large rainbow crystal sun glows with different colors as you see it from different angles, going between blue, green, yellow, and fuscia. The Austrian crystal cabochon we use is 1/2 inch across. We make our design by hand from lead-free pewter and string it on a chain.